Recent advances in NASA’s space-based imaging have produced an unprecedented wealth of low and high-resolution topography data for planetary systems. Topography data maps are a primary source of input for climatic, hydrology or other large-scale simulation models. However, current tools sets are deficient in visualizing the high-resolution data sets or providing a mechanism to extract sub-regional areas of interest from the larger topography data maps. We used commodity graphical processing units (GPU) to generate real-time geo-referenced cartographical projects using the high-resolution topography data and provided geophysicists with a novel graphical method that automates the selection and extraction of sub-regional point-data from the topography data maps. 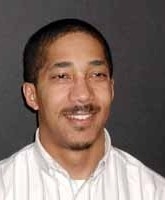 Jami Montgomery is a senior associate researcher in the Information Retrieval Lab (IR) at Illinois Institute of Technology, where he continues research in geo-spatial data visualization, network protocol optimization and mobile devices. Before joining the IR Lab, Jami worked at Bell Laboratories where his primary responsibility was designing software tools and test sets for the AT&T switching business unit. In addition to his successful career in industry, Jami held an assistant professor position at DePaul University from 2002-2009. Jami has a BS in Electrical Engineering from Prairie View A&M University, a MS in Computer Science from DePaul University and a Ph.D. in Computer Science from Illinois Institute of Technology. There will be light refreshments available, also feel free to "brown bag" it and bring in food from the outside to eat during the social hour.